President Vladimir Putin celebrated Russia's profound cultural wealth and resurgent military might Tuesday at a pomp-filled awards ceremony on a holiday initially created to mark the country's emergence from the crumbling Soviet Union. Putin, who strode through a massive golden doorway into a soaring Kremlin hall, handed medals to a dozen recipients for their contributions to science, technology, literature and the arts in an annual awards ceremony he has made the centerpiece of the Day of Russia holiday. Putin, due to step down in less than a year because of constitutional term limits, said the recipients - rewarded for work ranging from nuclear-armed atomic submarine designs to film restoration - have helped increase Russia's spiritual wealth, global prestige and competitiveness. He also honored Alexander Solzhenitsyn, the Nobel laureate and longtime exile who documented the murderous Soviet prison camp system, with an award for "humanitarian activity" - a kind of lifetime achievement award for the ailing 88-year-old author. It was accepted by Solzhenitsyn's wife Natalya, but Putin later visited the writer at his home on the outskirts of Moscow, thanking him in a brief televised portion of the meeting for "all your work for the good of Russia." Solzhenitsyn, in a wheelchair, thanked Putin for coming. "You are very busy, and I can't imagine how you found time to pay me a visit," he said. In a taped message televised during the award ceremony, Solzhenitsyn said he hoped Russians' rough experience during the "cruel and troubled years" he wrote about would help them avoid new upheaval. "Our bitter and national experience can yet help us in a possible repeat of unstable social conditions. It will forewarn and protect us from destructive breakdowns," he said, speaking haltingly and looking frail beneath a gray suit and tie. Solzhenitsyn, who was harshly critical of post-Soviet Russia's government when he returned from the United States in 1994, has had little but praise for Putin. But he has warned of the possibility of a repeat of the turbulence that plunged Czarist Russia into chaos and led to the 1917 Bolshevik Revolution. Putin said that "common moral values" were crucial to maintaining unity in multiethnic Russia, which has been plagued by a rise in hate crimes as well as years of devastating conflict with separatists in mostly Muslim Chechnya and other parts of the troubled North Caucasus. Putin has repeatedly spoken of morality and spiritual life as his two-term presidency winds down. He has also underlined Russia's military might, and the awards ceremony was no exception. Goose-stepping guards evoking Czarist-era armies carried the medals into the vast room where the ceremony was held, and five of the 12 recipients were honored for work related to the military. In addition, Putin announced a special award for the developers of the Iskander-M cruise-missile system, who were not named because their identity is a state secret. 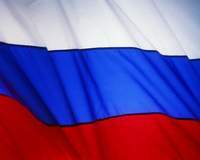 New missiles were tested last month, officials said, along with a new long-range missile that can carry multiple warheads, in what Putin at the time called a response to U.S. plans to deploy a missile-defense system in Eastern Europe. The June 12 holiday is one of several that have been shifted or renamed as Putin's Kremlin seeks to shape Russians' perception of their country and its history. It was introduced by Putin's predecessor, Boris Yeltsin, to commemorate Russian lawmakers' 1990 declaration of sovereignty and was long known to most Russians as Independence Day. However, millions of Russians regret the 1991 collapse of the Soviet Union - which was dominated by Russia - and blame Yeltsin for its disintegration. That means there is little political capital to be captured from celebrating Russia's independence, and the holiday's name was officially changed to the Day of Russia in 2002, under Putin. The holiday ends a long weekend and was being celebrated with concerts and other outdoor activities in cities across the country, including an evening concert in Red Square.